Getting authentic and valuable customer feedback is absolutely essential to the growth and success of your business. Although, getting this information is not always that easy. Here we will discuss the difference between traditional and modern models of obtaining customer feedback as well as provide you with valuable tips for retrieving this information as easily as possible. Customer feedback is not only about confirming customer satisfaction and understanding customer needs. When properly administered, you can literally grow your business based solely on using customer feedback and implementing the results effectively. Authentic feedback from customers can be critical in helping you to determine areas of improvement. It can even spur on new product development ideas and clues to improve your processes and procedures. It can help you to elevate your customer’s overall experience, and subsequently, their satisfaction and loyalty. The bottom line is that if you want a huge competitive business advantage, then you need to get serious about obtaining rich customer feedback…it will prove to be priceless. Many business owners use the traditional methods for determining customer satisfaction and loyalty such as sales volume increases, complaint records, general feedback that naturally occurs in discussion with customers, aging receivables, repeat customers and standard follow-up surveys. While these traditional methods are not without value, they often do not provide the rich detail and insight that drives real understanding and a sustainable competitive advantage. Studies have shown that customers rarely provide constructive feedback using most of the typical approaches. Many times, even in a face-to-face situation, they either say nothing or just say they were satisfied while actually deciding to never visit again. Think about it, how many times have you been unhappy with a meal, but when asked, you say everything was fine? These studies have also shown that 97% of customers just will not tell you what they really think. 1. 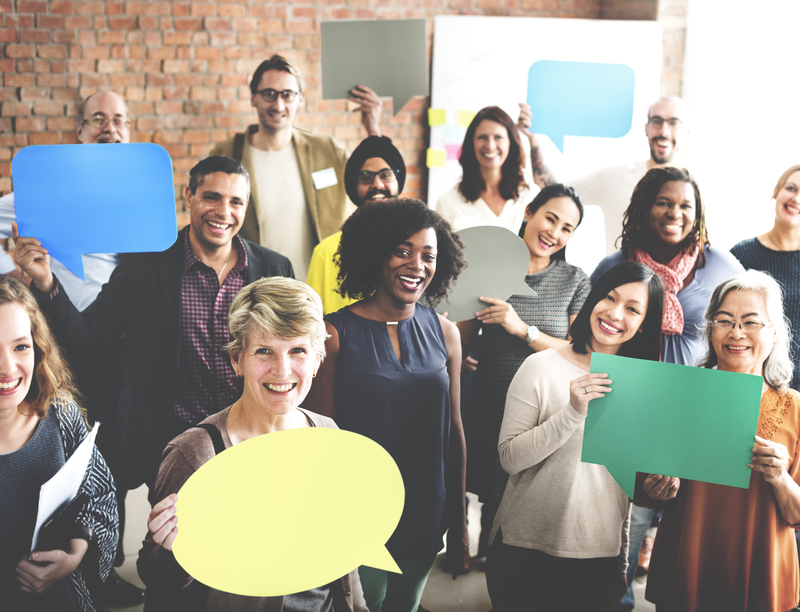 Customer Advisory Boards – This method makes your customers feel valued as well as creates an environment for honest communication between owners/sales force and customers. It is a strategic way to obtain feedback from people who know and understand your products and services. This group of trusted advisors can provide a reliable understanding of your business from the outside looking in and can help you to see if your business model aligns with their needs. 2. Customer Interviews & Focus Groups with a small group of “perfect customers” – This avenue can provide detailed information about your customer’s experience and what aspects of their experience continue to bring them back. It can confirm future product improvements or a new direction for your business. When you speak with your customers in this fashion, it allows for open communication and helps you to understand their motivations. This process can be very difficult, but it can enable you to introduce a new product line or service with confidence. 3. Simply Listen to your Customers – Try not to allow mounds of data to prevent you from truly listening to your customers. Don’t impose your own beliefs on what they tell you, but rather, be mindful and listen to what your customers are telling you in their own words. Customer feedback should give you a clear vision of your business through the eyes of your customer. 4. Surveys – As mentioned, surveys don’t always get the best detailed information, but they are a low-cost, measurable way to capture customer feedback. It is vital to remember your purpose and target audience when designing a survey. Prepare diligently when creating surveys; keep them short and ensure each question is important to the buying experience. It seems however, especially if purchasing online, everyone is trying to get us to answer a survey. So, if you are working with an online survey, don’t be intrusive during the buying session, and provide a reason for the customer to take the time! If face-to-face, perhaps a survey presented at the end of the buying experience just might be different enough to get the responses you need. This link provides a good overview on how to prepare a survey. 5. Referral Programs – Allow your ideal clients to invite people to a special event or personalized shopping experience. Sales associates, after gaining long-term trust, can approach the customer for these referrals. Create incentive programs for your sales associates to build these customer relationships over time and generate referrals. 6. Internet – Let us not forget social media and web apps! While easy to access social media, it can be challenging to find valuable insight in the vast array of feedback across the board. Consistency in monitoring feedback and connecting with customers on this platform is essential. Blogs can help us to understand customers’ needs, researching what parts of our websites are attracting customers can guide us in understanding what drives them, and email follow-ups that present something of value can actually build loyalty. Many times the feedback received online is fresh, current, active and will provide valuable, rich data if used properly. Remember, never do anything that would damage your trust and credibility with your customers. How you ask for and receive customer feedback may be one way of driving another level of customer satisfaction. We encourage you to try one or more of these techniques and let us know your results.